I came into this week’s readings assuming that I’d have a strong opinion one way or the other about the impact of digital scholarship on the history profession. I was wrong. I’m feeling rather conflicted and I think that is most likely because I have not experienced any of this firsthand and the idea of publishing a dissertation or a book is pretty abstract at this point. After reading through all of the articles, I was most interested in the debate over AHA’s statement about allowing students to choose to embargo their dissertations. The statement provided a time frame 6 years, the length of time it typically takes a PhD to publish a book and secure tenure. While I recognize the reason for the proposed time frame, perhaps the option could be even more flexible. Why not allow students to embargo once they enter into talks for a book contract? Or allow students to choose a length of time up to 6 years for an embargo? OR allow students to decide sometime into the embargo period that they are ready to lift it? If the AHA’s intention is protection of and flexibility for early career scholars, it seems there should be even more options. William Cronon offers a fair and valid point. It’s great when senior historians publish online and we can appreciate their generosity. Yet it is unfair to require online access publishing of graduate students who have not yet had the opportunity to publish a book or even an article. At the same time, Dr. Jennifer Guiliano also makes a good point that maybe the AHA should have surveyed its members. Additionally, she writes that her dissertation got downloaded 604 times and she made the argument to the publisher that an audience truly existed for her work. I do have to wonder if she is an exception to the rule rather than the typical case she claims to be. I think what much of this boils down to is the decades old system in the history profession of finishing your dissertation, looking for a job in academia, turning your dissertation into a book and thus securing tenure and more career flexibility. (Perhaps this is simplified process and it certainly glosses over the various moves to tiny colleges out in some random state and the low pay and slim benefits that career academics must endure in their quest for a book deal and tenure at a better position.) It seems to me that this system needs to change. Universities cannot continue to mandate that everyone publish a book when the presses are shutting down and/or becoming more stingy with what they publish. It’s not a sustainable system for anyone. Dan Cohen touches on this issue in his article, “The Idols of Scholarly Publishing.” “Can we get our colleagues to recognize outstanding academic work wherever and however it is published?” he asks. Trevor Owens and Timothy Burke also encouraged the academy to explore options outside a printed manuscript. Maybe one day a new system will allow historians a more flexible way to attain jobs and tenure aside from publishing a book. The profession and its members are still, I believe, in the process of refining how we view work that is published on the web without a hard-copy counterpart. I found this week’s reading to be very enlightening in terms of all of the different copyright laws and the way they have changed over the years. The articles, particularly the ones by Lessig, Suber, and Willinsky are convincing in that open access scholarship benefits more and allows libraries to do more with their funding than pay huge subscription fees. I will certainly miss the ease of which I can obtain scholarly articles when I am no longer a graduate student. Additionally, Anderson’s article pointed out something I had never thought of before. The scholars doing the research are funded at (often) public universities, peer reviewed by others on a university payroll and then the university library has to turn around and pay big bucks to access the eventual final product. It doesn’t make a whole lot of sense. Except, I began to think, “what if I ever publish an article?” Ideally, I’d like to publish in a reputable journal that I can cite on a CV and people will know it. I know I’m not alone. Many scholars, whether they be students, professors, or independent researchers want the prestige that comes with getting published by a journal that is peer-reviewed and has the stamp of approval by the academy. 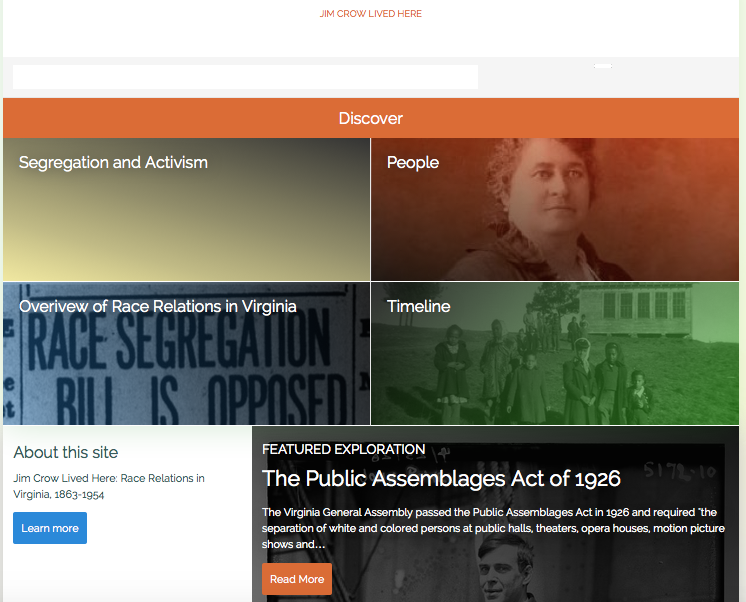 It might be my ignorance on the subject, but are there open access history journals that are on the same level as the Journal of American History (JAH) or other such journals? Where would one publish online and still garner the same respect as if you published with JAH? I searched very quickly and noted that the JAH is still very much paid access. The American Historical Association’s news magazine, Perspectives, is available full-text on their website but their American Historical Review is still paid access. I’m still feeling conflicted about open access. I can see both sides and am not sure where my loyalties lie, though in preference of a democratic access to information and after reading about the Te Papa museum’s experience, I would err on the side of more open-access availability. I edited a page about a train wreck that occurred in Orange, VA in 1888. I have previously completed primary source research on the wreck and decided to add information to its pretty short Wikipedia page. I entered two paragraphs of text and cited information with primary source material, just to see what would happen. I wrote the entry on Tuesday and so far I’m still the most recent edit. In hindsight, this was probably a much too narrow topic to see any really editing movement. But I was amazed at how easy it was to create an account and edit a page! I have to admit when I first read the instructions for this week’s activities and blog post, I was skeptical that I had any data related to my topic or if there was anything I’d have to hunt really hard for it. Then I read Miriam Posner‘s blog post about Humanities Data. And it spoke to me. She laid out perfectly well how historians and humanists are so attuned to their sources they can feel the nuances that prove their argument before needing a chart of data to rely upon. I especially liked the example of the melodrama within 1920s silent films. Indeed, the film itself provides a much richer experience and sense of melodrama than a chart with a list of characteristics. But when Posner began to explain that all humanists’ computers are filled with files upon files of images, documents, maps, etc. that are difficult to organize, it struck a chord with me. I, too, have this problem. And that’s how I figured out what I would use for my tidy data set. This dataset represents a number of newspaper articles published about the Public Assemblages Act of 1926. I have indicated the date, newspaper title, publication location, type of article, and the demographic of the newspaper owner. One day I would like to add to this data set by researching more newspapers that were in publication across Virginia or even more heavily investigate papers that I have only a small sampling of. 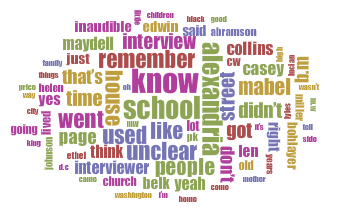 Basically this dataset represents the articles I was able to scan from microfilm during one (long and exhausting) visit to the Library of Virginia or was able to pull from an online database. I have actually been meaning to do compile this information into a spreadsheet. I particularly wanted to see the spread of dates and see which papers were publishing similar stories on the same dates. Here is a link to my grant proposal.